Hotel pick up with guide service. Round way air-conditioned coach transfer. Ocean Park day time admission ticket. Your tour guide will pick you up at the hotel lobby between 10:00AM - 10:30AM. 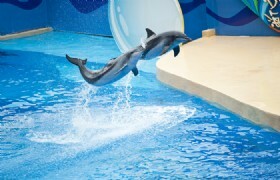 You will then be transferred to Ocean Park Hong Kong. 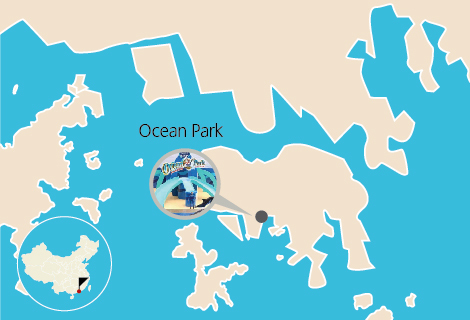 You will stay in Ocean Park until 5:30PM. After the tour, you will be transferred back to your hotel. You will also have time to squeeze in a visit to Tse Sui Luen Jewellery Factory where you can catch a glimpse of the amazing craftsmanship and designs of the jewellery. You will be on your own in the theme park. 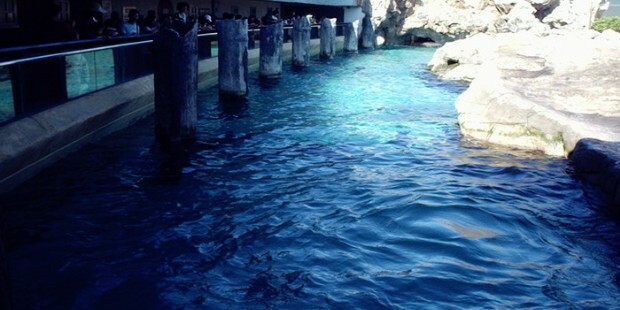 Our tour guide will tell you the pick time and pickup place at the entrance of Ocean Park. The return transfer time is 17:30, in order to avoid traffic jam leaving Island south back to downtown Hong Kong. Ocean Park is a world acclaimed theme park where you can enjoy amazing marine life, nature and exciting thrill rides in over 60 attractions. 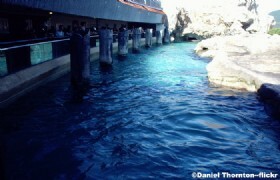 The Park features one of the World’s top 10 Aquariums, The Grand Aquarium. 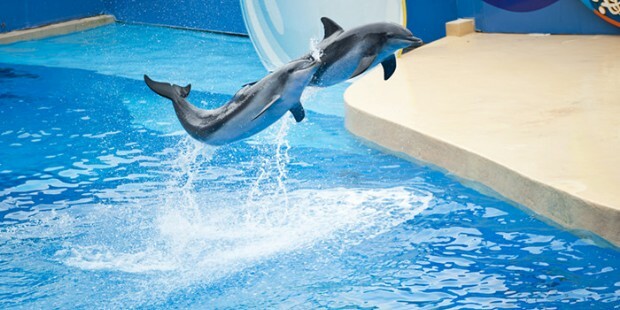 Other attractions includes sea lions, dolphins, birds, red pandas, giant pandas and some rare species and animals in the world. 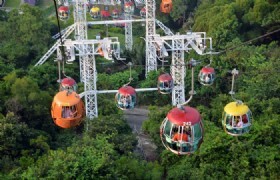 Apart from the animals there is an area that is dedicated to absolutely thrilling rides that will ensure you have a fun filled day. Take the Arctic Blast to Ocean Park’s latest chill zone and experience the Polar Adventure! Learn about life in the North and South Pole from its animals! Here you can see some of the animals such as the different species of Penguins, Stellar Sea Lions, Spotted Seals, Pacific Walruses, Arctic Fox and Snowy Owls. Be mesmerized by the colors and activities of life in Old Hong Kong where you can see the authentically recreated streets and scenes. Let the wonderful aroma of gourmet on the streets guide you to the market place, where you can feast on numerous delights from Hong Kong’s old street. You will feel your adrenalin pumping at Thrill Mountain with the Hair Raiser a floorless rollercoaster. 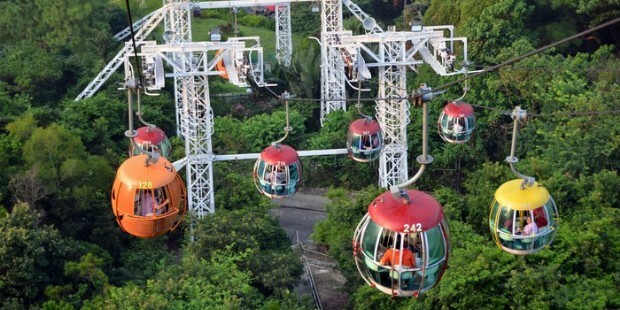 There is also the exciting Mine Train, Raging River and Space Wheel, all these rides will surely have you in a twist! Take a plunge down the Rapids at Rainforest. Enjoy a raft journey and battle fierce river rapids to meet some of the Amazon's most fascinating animals, including Pygmy Marmoset, Capybara, and other wildlife. 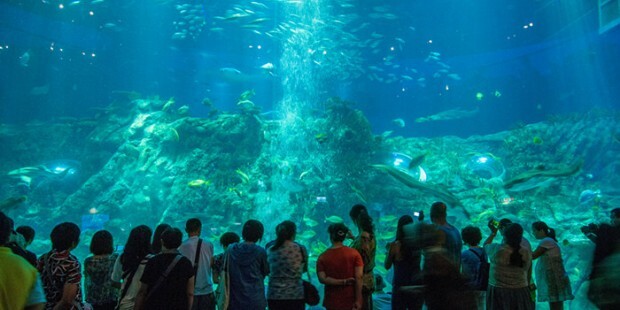 Explore the world-class Grand Aquarium in Aqua City and enjoy Symbio, the world’s first 360 degree water screen show! You can also enjoy the Sea Life Carousel that 61 carriers in 13 different designs. * All cofirmed bookings are final and incur 100% cancellation penalties. * Children aged between 3-11 Year Old should bring along their passports or identity cards which may be requested at the time of admission. Transfer: air-conditioned coach transfer, from the hotel to Ocean Park and back to hotel after the tour. Guide: hotel pick up with guide service. 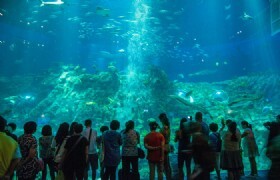 Ocean Park Day Time Admission Ticket: Admission Fee includes most of the facilities, except skill games and coin-operated games. Tips given to your tour guide and driver at your own discretion.